It’s sometimes funny how you discover people online. In the case of Sarah Sherman Samuel, we found more than one of our friends tagging us in her jaw-dropping-beautiful baby shower pictures on Instagram and we knew we had to hunt the pregnant lady down. 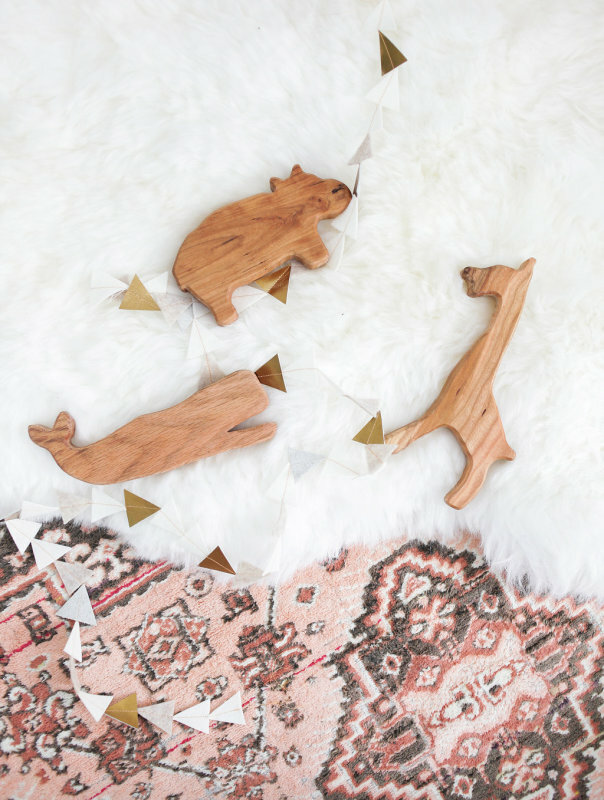 Luckily, that baby shower was just the tip of the iceberg when it comes to the designer, blogger (behind Smitten Studio), and art director’s style. 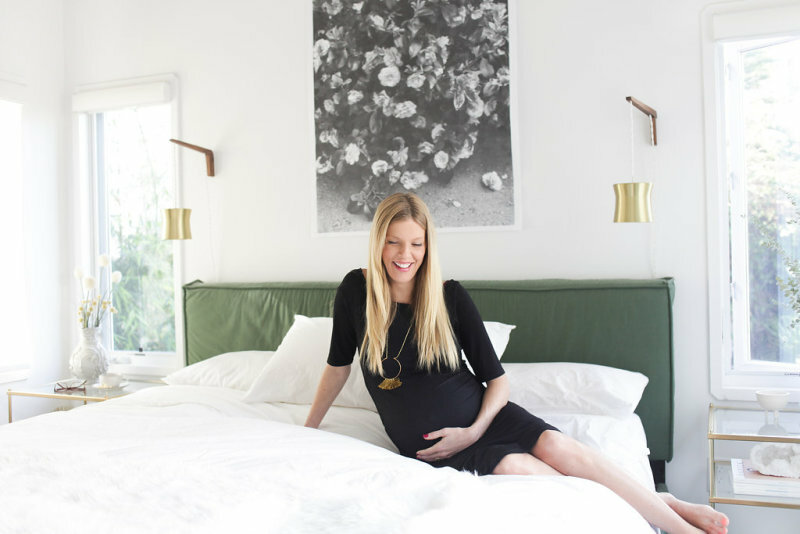 Here, we step through the doors of her stunning Venice Beach abode dangerously close to her due date. Prepare to Pin. 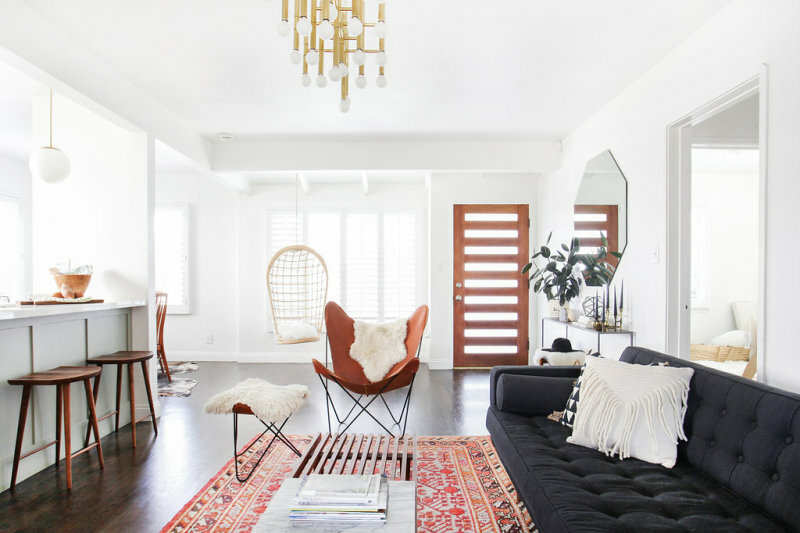 "It's bright and modern, relaxed but edited, with an emphasis on the use of natural materials." Sarah wears Genetic Denim jeans from a Pea in the Pod, an Old Navy t-shirt, Zara sweater, and Madewell shoes. "It hasn't yet! I have been working on the nursery and my number one goal is to keep it in line with the rest of the house's aesthetic. 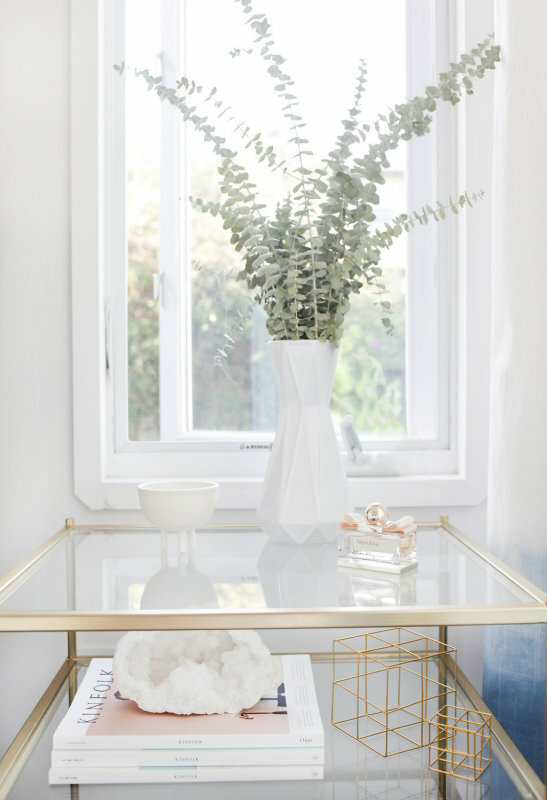 I've sought out beautifully designed toys and baby equipment and closed storage for those not-so-pretty things." 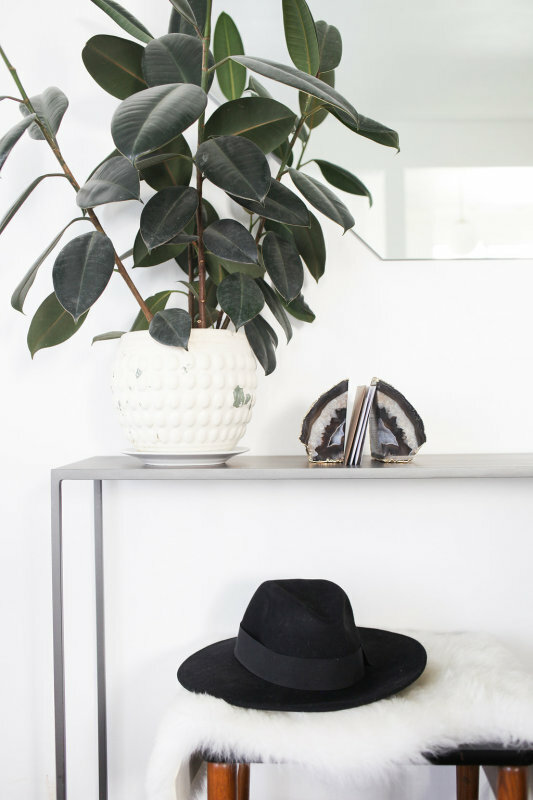 "Fill your house with things you love and invest in pieces of quality that speak to your personal style. 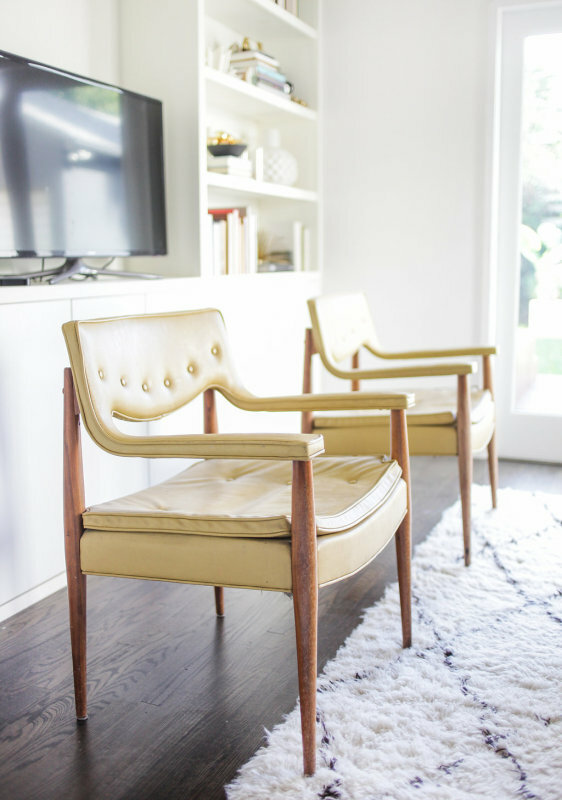 I like to mix new and vintage pieces we've slowly collected to create a storied space." 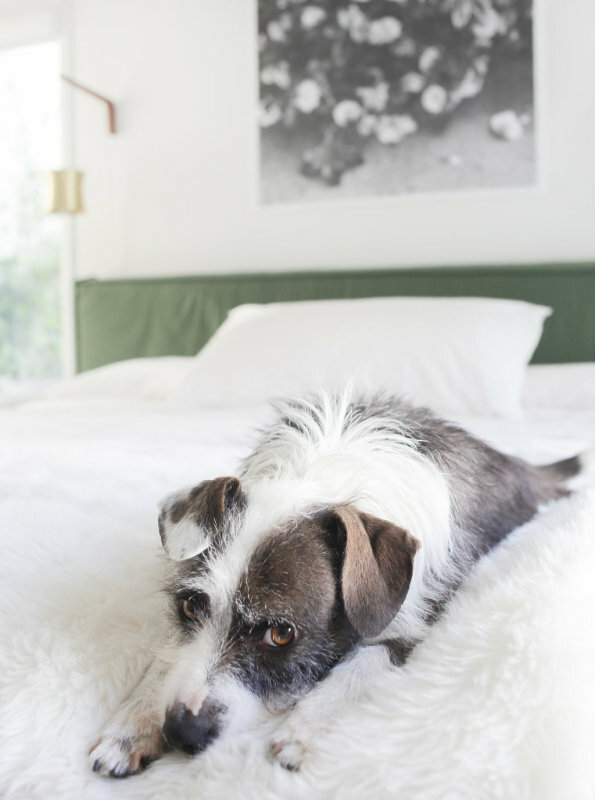 "I usually wake up to two dogs jumping on the bed after their morning walk with my husband before he leaves to go to work. Around then I get up and make tea and have breakfast at the dining table with my laptop, answering any pressing emails, and/or putting up a blog post. Sometimes I will end up sitting and working from there until lunch, other days I make my way out to the studio, which is a separate building in our backyard. It's lovely to have the separation even though it's just a few steps away. At least a few times a week I meet up with a friend or my husband for lunch to get out and break up the day. I then try and reserve afternoons for working on any current design projects, shooting new blog content, and/or developing new product. We've been spending a lot of evenings in lately as we get ready for baby's arrival, relaxing and catching up on our day over takeout or whatever my husband cooks up in the kitchen." 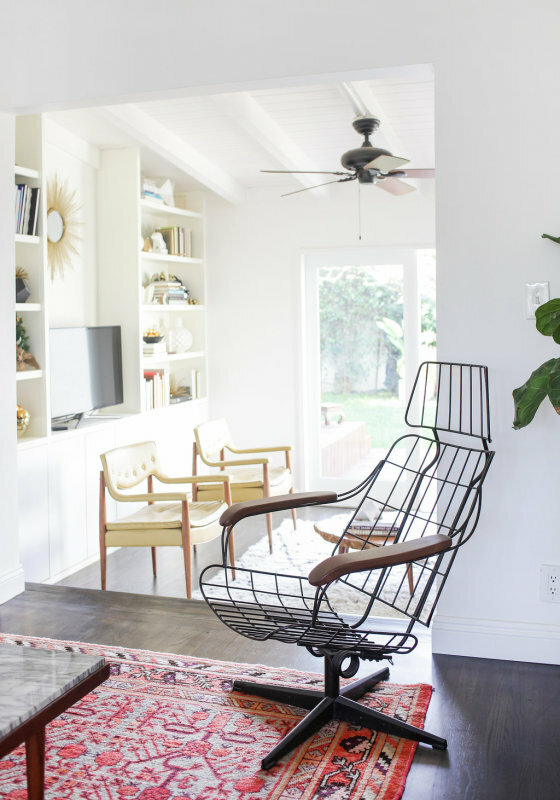 "I love the sculptural quality of the vintage-wire frame rocker that we found at a flea market. The arm rests were previously upholstered and I had my dad make new ones out of solid walnut. I am in the process of getting new cushions made so we can actually sit in it, as well." "So many appointments! Between doctor's visits, prenatal physical therapy (my sciatica flared up very early on), yoga, and lately I have been introducing acupuncture, it seems like I have some sort of appointment every day. I don't usually do any of those things, but taking care of myself and the growing baby inside has become much more of a priority. Also, I made the transition to start my own business and work from home about two years ago, which was really hard at times, having worked in an office my entire adult life. I am thankful to have already gone through that big change, which I think makes it a little easier to handle the idea of spending so much time at home with a baby. I was also really nauseous for well into the second trimester and it was handy being able to work from my bed some days and to set my own schedule." "Just how different it is for everyone. Your friends can tell you a million different things that will or will not happen, but you never know what you are going to get." "I'm really lucky to have a few incredible mothers in my circle of friends that I look to often and (kind of) jokingly tell them that we need status meetings every Monday so they can evaluate how i'm doing and tell me where I can improve. My own mother and my sister are also wonderful role models." "A simple black dress is my number one must. I find myself (especially in the third trimester) wearing this one almost daily. For me dresses are by far the most comfortable and it is a bonus that you look put-together with basically no effort. Also, the Bump Nest pillow and a good natural belly cream." "Yes, it's a boy! All of my closest friends that are mothers have boys, so I am excited to have our little guy as part of the club." "I can't wait to see his face! And to watch my husband interact with the child we made together. I still can't imagine what it will be like." 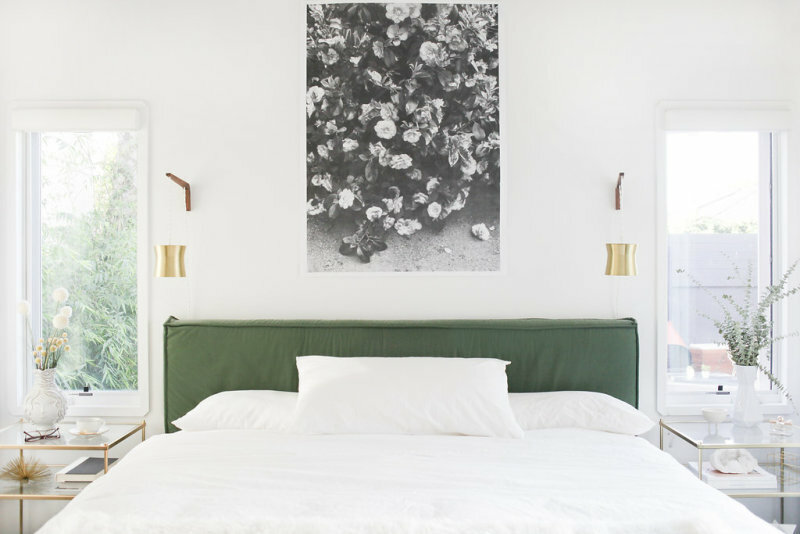 "We did a series of weekend trips pre-baby in lieu of one big babymoon, however we did coin one of them as the 'true' babymoon and it was our trip to Ojai where we stayed at the Ojai Valley Inn. And a few of my friends joined forces to throw me a beautiful shower. Each one brought their unique talents to the table to create the most elegant and intimate gathering." Sarah wears a dress by Asos and a necklace by Composite Shop. "Olive and June! 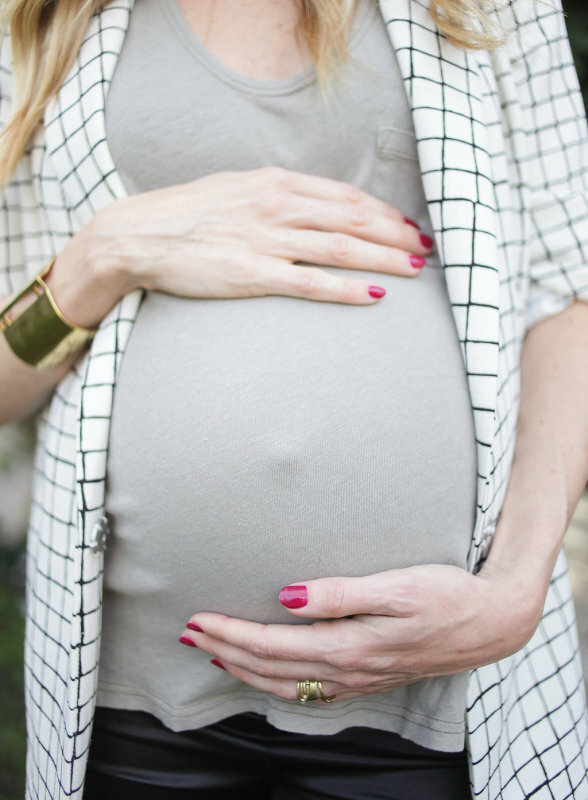 The gorgeous nail salon just added a special mama-to-be treatment to its menu. It's my favorite place to go to feel pampered." 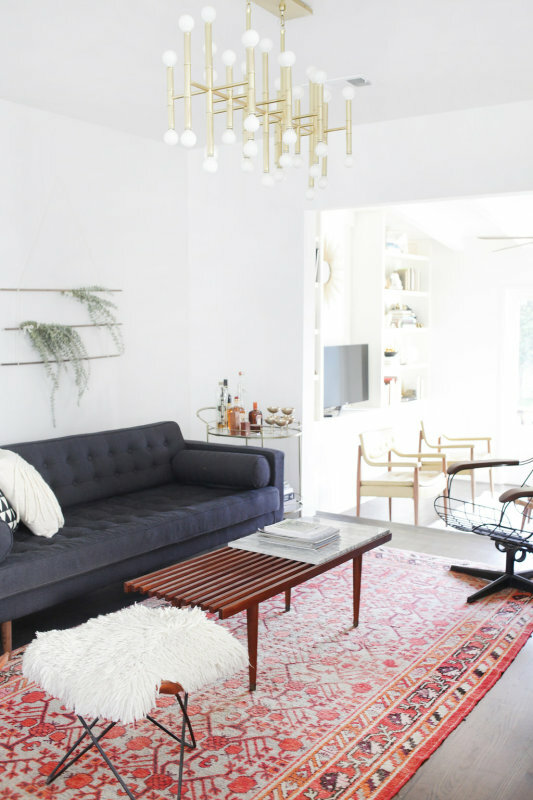 "My personal style is a lot like my decorating style. 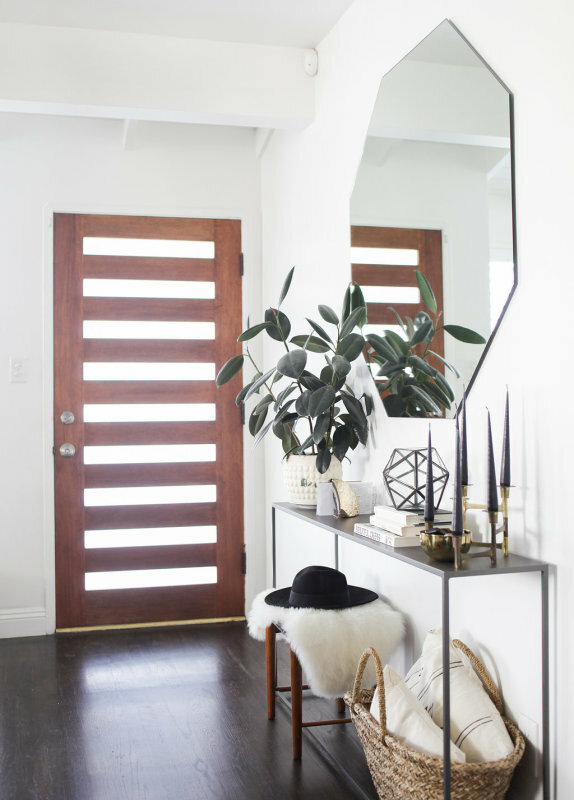 I like natural materials, mixing patterns and textures, structured basics, and introducing a little glam here and there with gold accessories." "A fitted black dress and a quality pair of maternity jeans. For jeans, I like Genetic Denim because it is so comfortable and doesn't look at all like maternity jeans. 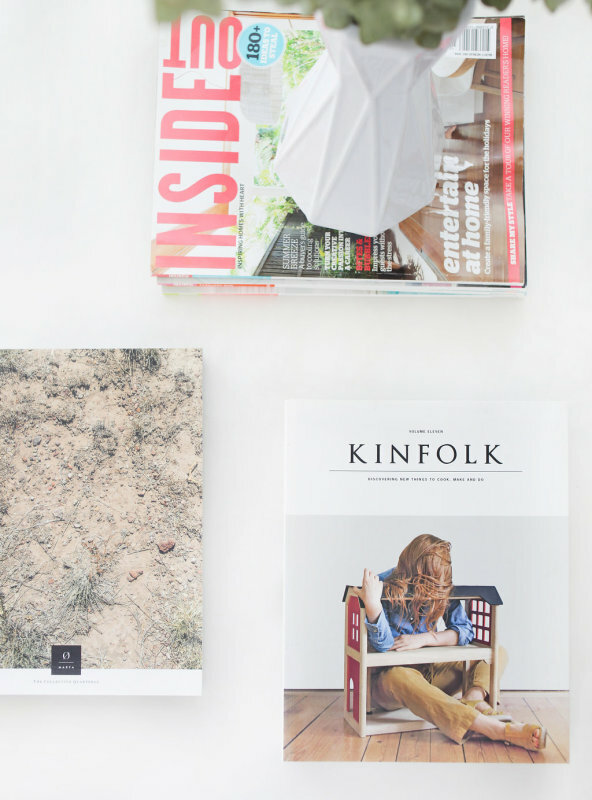 In general I love the aesthetic of Hackwith Design House, Stine Goya, Vince, and Rag & Bone." "Lately I have been doing any and all shopping online. My go-to places are Shopbop, Asos, Topshop, and Need Supply Co."
Sarah wears a dress by Asos and Ferragamo shoes. 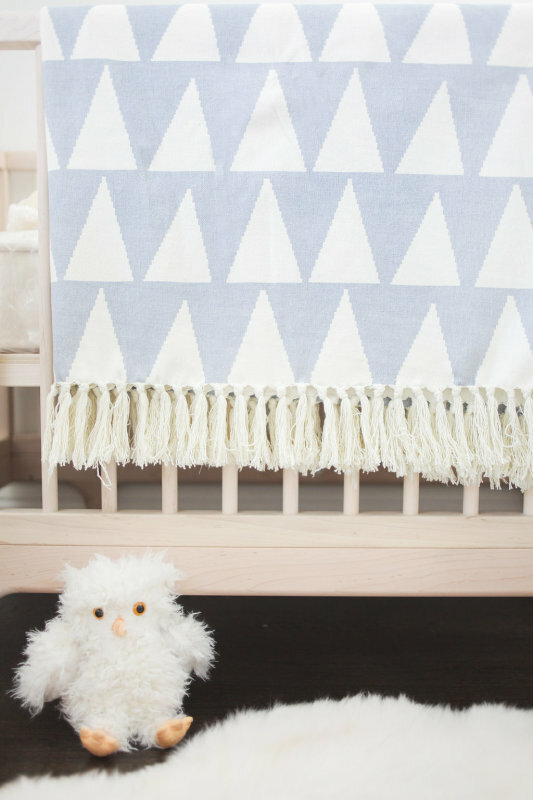 "We are still working on the nursery, but I wanted it to be an extension of our home and so I kept to a light palette incorporating a lot of natural materials in their raw state (bamboo mirrors, unfinished wood crib, and the natural reed baskets), and injected a bit of color with the peach rug, toys, and a dresser we painted mint. I also wanted to make the space a little whimsical and had the idea for cloud wallpaper, but couldn't find one that fit, so I custom made one for the space. 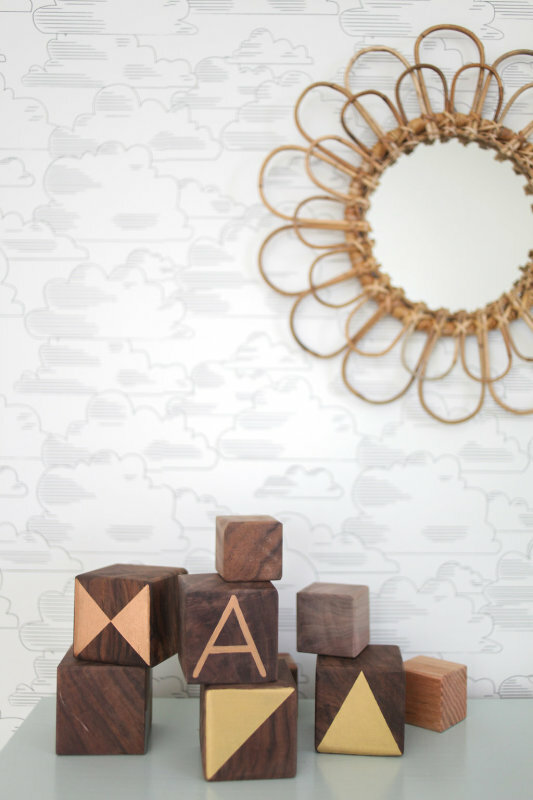 The woodland animals and cloud wallpaper serve as a great foundation for a whimsical and imaginative space." 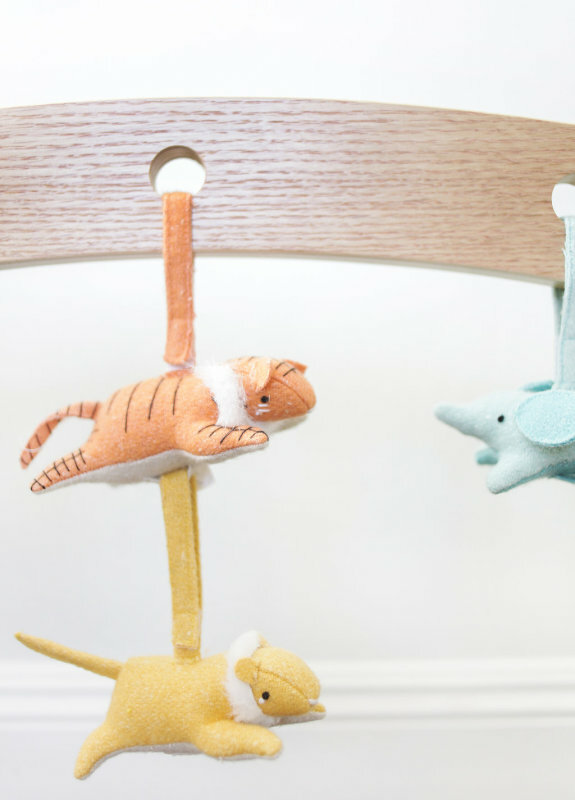 You can get a breakdown of all of the items in the nursery here. "The items that I cherish the most are the pieces that I know were made with love and also know the maker behind them. 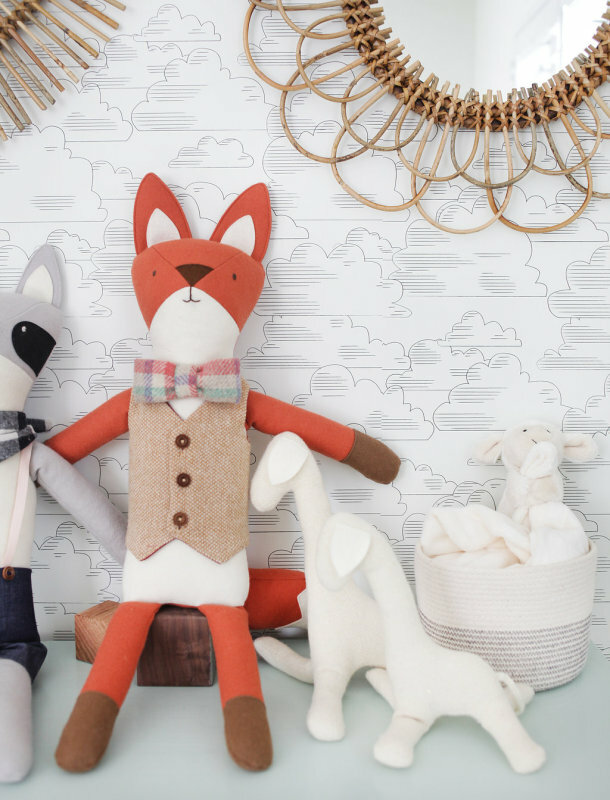 The plush raccoon and fox were made by my friend Lauren of Walnut Animal Society and the wooden blocks and small wood animals are extra special to me because my dad made them as a surprise for my baby shower. 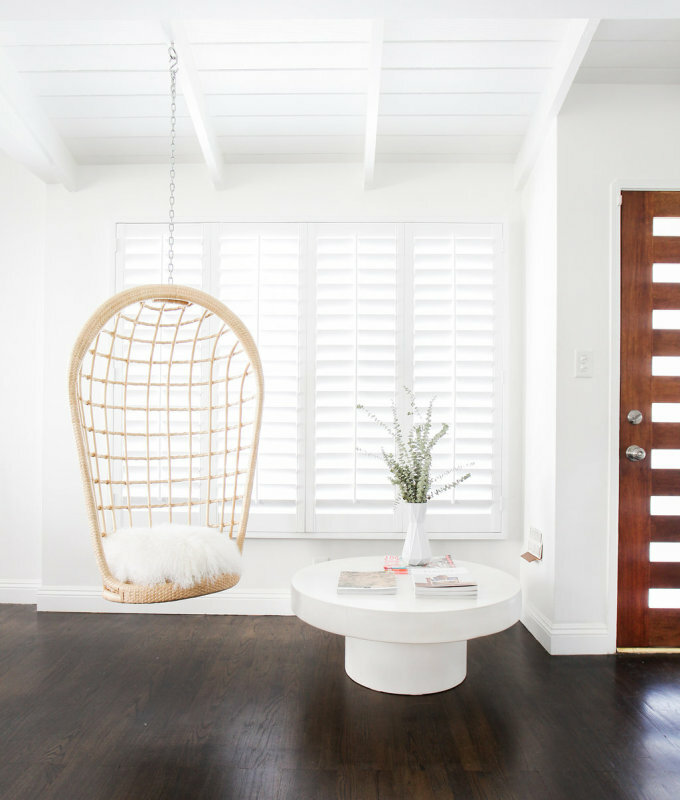 The crib is also at the top of the list, it was made by fellow Los Angeles design team Kalon Studios." 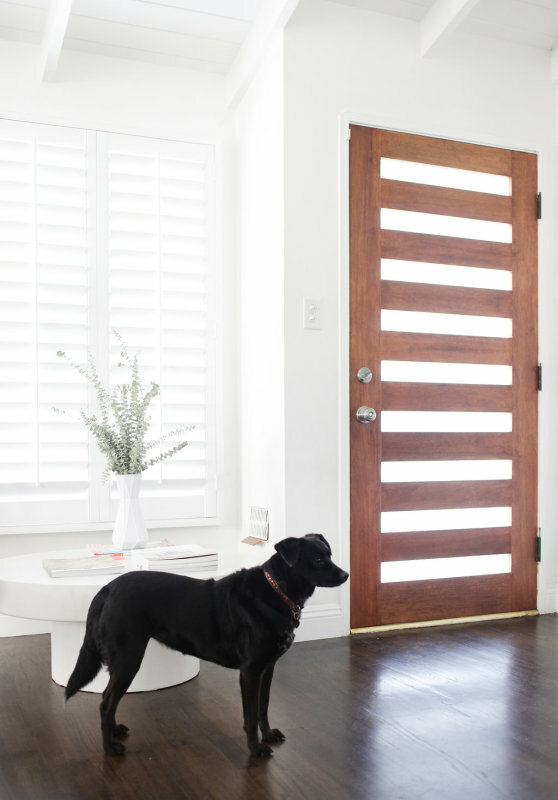 "I am a designer, art director, and creator of the home goods line A Sunny Afternoon. 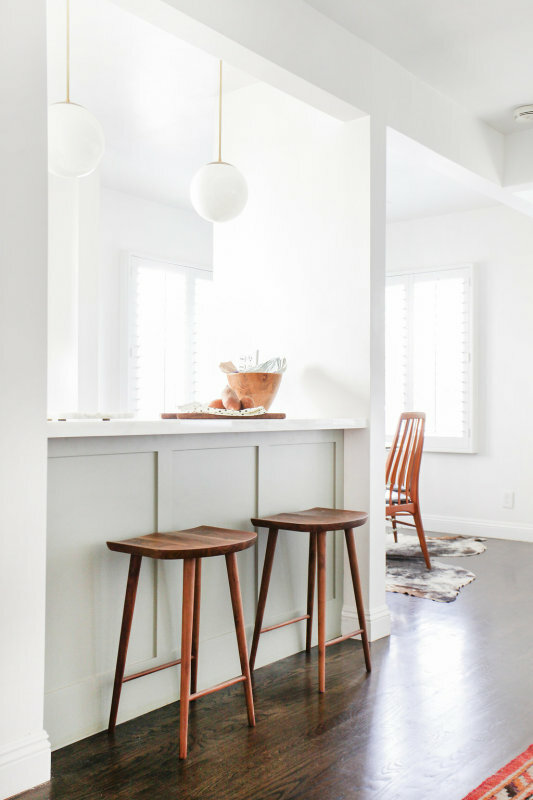 I'm also founder of the lifestyle blog Smitten Studio, where I cover my favorite topics in design, personal style, home renovation, and travel." "After getting my BFA in design, my career started with a position as an in-house designer at an advertising agency before finding my niche in surface and product design at an L.A.-based fashion paper product company. There I served as creative director, developing products and pattern-based artwork, and then marrying the two to create a line of stylish paper goods exclusively for Target. While there for 5 years I was simultaneously honing my own personal aesthetic and started my blog Smitten Studio on the side as a fun creative outlet and to track the renovations we were doing on a fixer cabin we found in Michigan. In 2013 I decided to break out on my own in order to not only create my own line of design-focused products, but to also put more time into the growing blog and to be able to work on more of a variety of design projects." "I sometimes have a hard time saying no to opportunities because I want to do it all, but I know that when the baby comes I will have to get a lot more comfortable with that. I imagine it will only make the results better, as I will only be able to invest time into projects that I am really passionate about." "I am a little nervous, being our first child, we have no idea what to expect. However, I do plan on taking a couple months off to settle into my new role and then eventually hiring a nanny once we get into some sort of a schedule and I can anticipate more of how a day will look." "I love the variety of projects I get to work on. As a designer I naturally seek out new ways of solving problems, and by working on different types of projects I get to keep growing and learning new things to apply to the next one." "There is so much to love about Los Angeles—the weather, of course, the food, my circle of creative friends where everyone seems to be doing something interesting, and mostly the landscape in and around the L.A. area. There are so many drastically different and beautiful destinations within driving distance to L.A. that it makes for endless weekend trip possibilities." 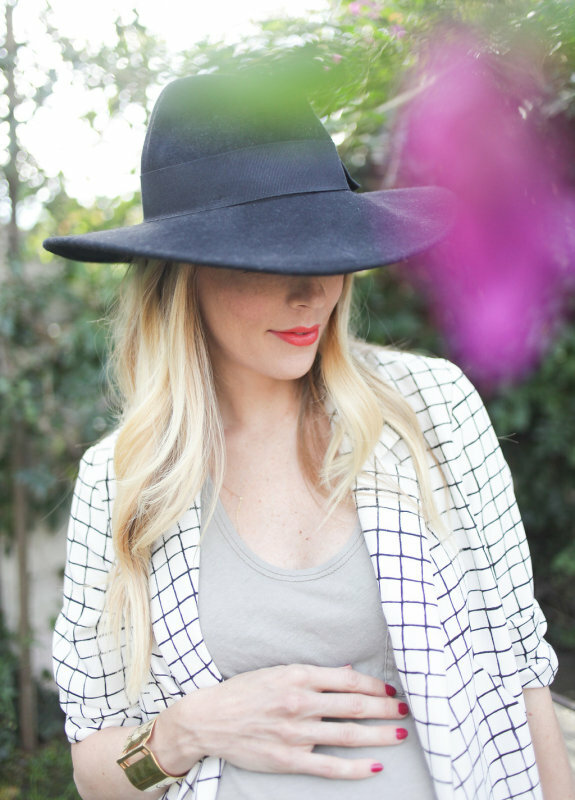 Sarah is wearing a jacket by Topshop, Madewell tank top, Asos leggings, Catarzi hat, cuff by Edge of Ember and Melissa Joy Manning and L Frank rings. "We have a cabin in Michigan that we sometimes wish we lived closer to and think about possibly moving that way at some point, but then the thought of winters and leaving L.A. friends and restaurants behind keep us firmly planted here...for now." "I am currently working on full site re-design where the shop and blog and my portfolio will all be under the same site. With the launch I will also be introducing some product collaborations, which I am really excited about."